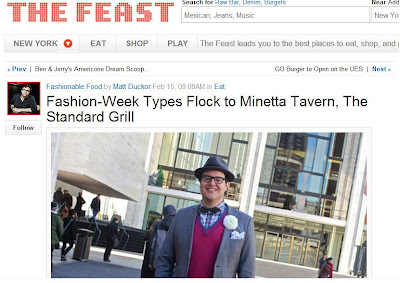 OJ&B In The Press: NBC's The Feast.com Talks Fashion Week Food! So I was was walking to the tents minding my own business when a man comes up to me and says, "Hey do you want to be a supermodel?" And the next thing you know, I am in New York on the cover of Vogue! 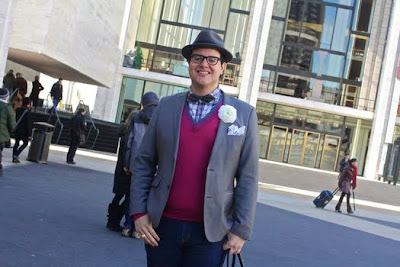 OK that wasn't me, but a man did come up to me as I was walking to the tents during Mercedes-Benz fashion week to ask me about my favorite places to eat during Fashion Week. Check out where I like to go as well as my stain removal secrets! Dinner Plans: "I really enjoy Cafeteria for dinner and The Standard Grill for drinks. But during Fashion Week, I go where ever people invite me." Stain removal secret? "Always layer in case something happens. Also, Shout Wipes are a fashionista's best friend." 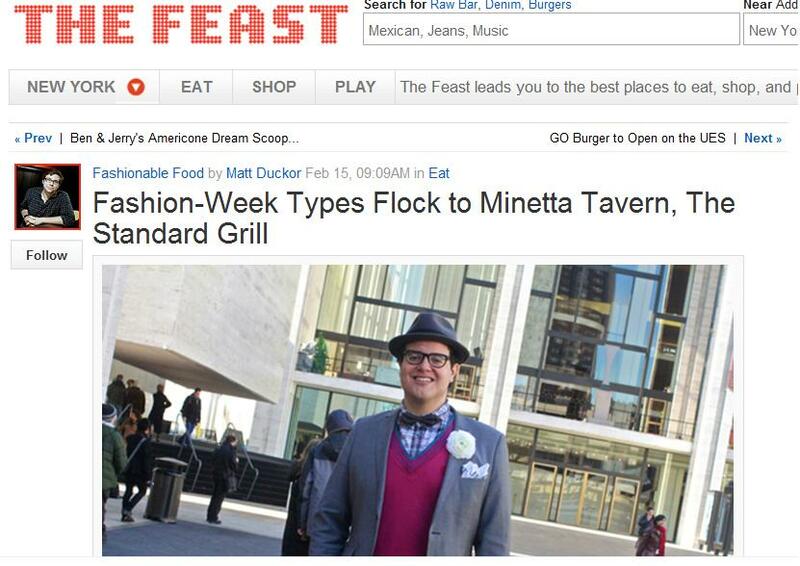 Photo via TheFeast.com's Matt Duckor, Associate Editor of The Feast Eat, New York. Check out the original post and The Feast by clicking here.